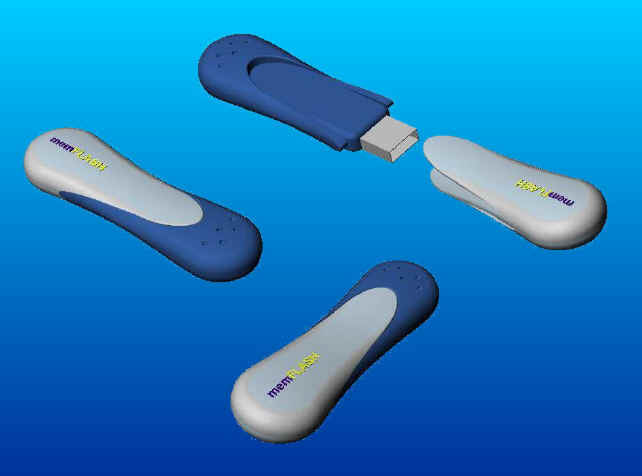 These several concepts are design studies for usb devices such as Flash Memory Drives, MP3 players, etc. 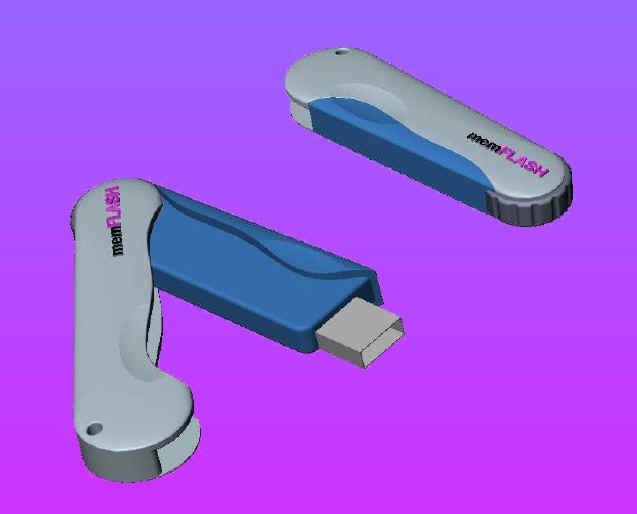 In each case there is a cover to protect the usb connector. The cases would be injection molded plastic. CAD work is done in SolidWorks, using surface techniques, and then "solidifying" so that the interior design detailing can be developed to production standards. This CAD approach is a common way many of our more sculptural designs are now executed.